Strike the perfect balance of performance and affordability in small-workgroup mono printing with the up-to 42-page-per-minute Lexmark B2442dw Monochrome Laser Printer, featuring standard two-sided printing, enhanced security and built-in Wi-Fi. Lexmark's security features help keep your information safe in the document, on the device, over the network, and at all points in between. 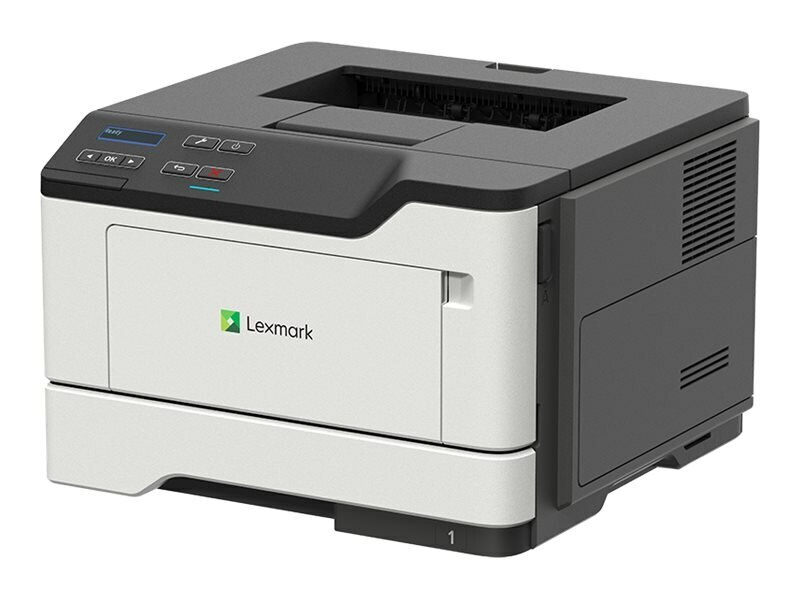 Robust and reliable, the Lexmark B2442dw is built to work anywhere from showroom to warehouse with few interventions. Keep going with long-life components and replacement cartridge yields up to 6,000 pages. Plus, print what you want, in the size you want. The included media tray adjusts to paper sizes from A6 to legal, while the 100-sheet multipurpose feeder accepts smaller media and envelopes to give you even more design and output possibilities. With the B2442dw's USB and gigabit Ethernet connections are just the start. Standard Wi-Fi means convenient and secure connectivity while the Lexmark Mobile Assistant app allows fast and easy setup directly from your mobile device. Durability and long-life components keep your maintenance costs low, too.